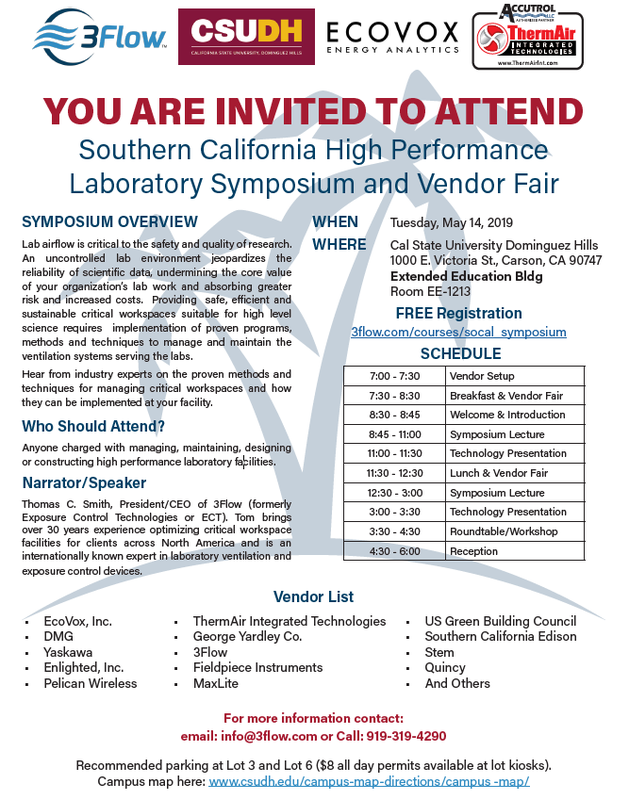 EcoVox is excited to co-sponsor and present at the Southern California High Performance Laboratory Symposium and Vendor Fair hosted by CSU Dominguez Hills on Tuesday May 14, 2019! The event will feature multiple industry-expert presentations on methods for managing critical spaces and how the methods can be implemented at your facilities. In addition to the presentations, breakfast and lunch are included in this free event as well as a vendor fair and roundtable workshop. Feel free to forward this to any of your peers that might be interested!